Today’s announcement is very hot! Get ready for a whole new game experience in Just One Line thanks to many changes in the game balance. 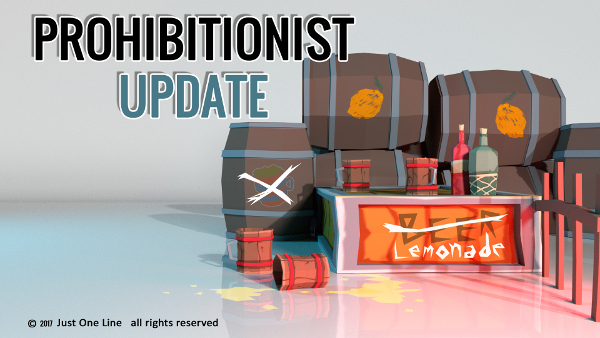 We are calling it “The Prohibitionist Update” as it shifts focus from relying -almost entirely- on drinks for power-ups to switching and upgrading gear instead. The Armory inventory has been completely updated in stats and prices in order to improve the longevity of the game and to set targets (weapons, armors or trinkets) for the players to reach more gradually than before. The game should feel more “right”, challenging and rewarding now. This is our first attempt to achieve the best game balance possible but it will not be the last. As the quest library grows many other changes will be made along the way. If you have not been visiting the Inn for a long while, this is your great opportunity to play Just One Line once again! We will wait for your feedback and thoughts on our Community Hub and Discord. And if you happen to be a new player, your opinion matters as much! Please Note: we advise to retire any active Adventurer and start a new game altogether to fully appreciate the changes of this update, even if you just started a new game before the update. Should you encounter any major blocking issue, try using a different user profile or reset the profile in use. 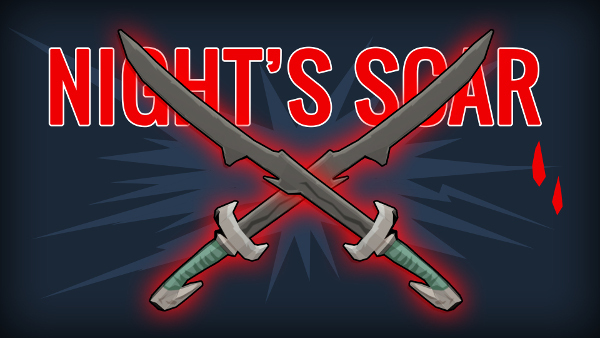 A new weapon is available as a sword variant in the Armory: the Night’s Scar. The Night’s Scar was designed by the player Zeed in our first “Draw a New Weapon for Just One Line” (Facebook) Contest. Kudos to Zeed! And thank you to all who participated! If you want to create new content for the game too, keep following us on our social media and Steam Community Hub for future contests! What do you think, Adventurer? Do you like it better than the previous one? 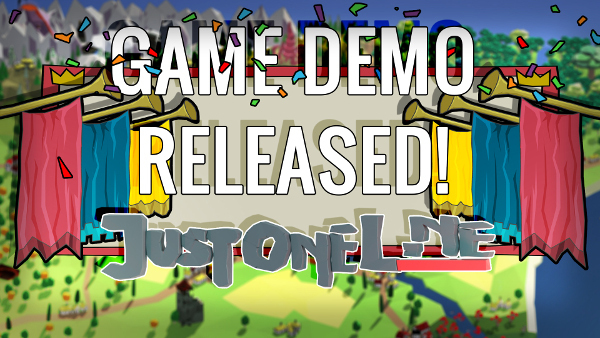 Last but not the least, we have just made available the demo version of Just One Line, for any one of you Adventurers who are still feeling unsure about our game. Come and try firsthand what Just One Line can offer! Renown for completing the quests updated. Items’ stats and prices drastically changed. Sword and mace categories have been swapped. Axe damage type has been changed to be more effective against heavily armored foes. Proficiencies swapped between Herald and Rogue. 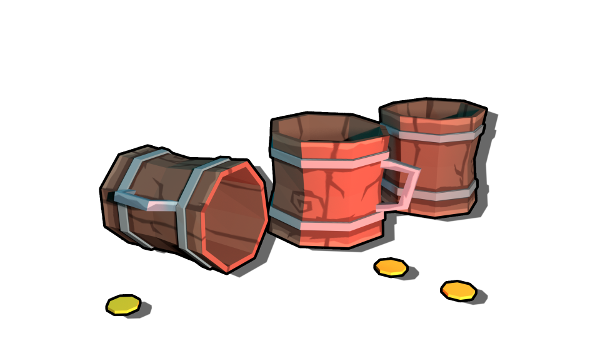 Damages and HP do not get affected by stats increase due to the equipment (weapons, armors or trinkets) and drinks. Damage reduction from weapons and armors does not affect any type of damage received outside of combat. Damage reduction from drinks and trinkets stack with the damage reduction granted by masteries for outside of combat damages. Mastery update: Shield Brother’s mastery is now 2 damage reduction from fight-type damages received outside of combat. Mastery update: Hounds’ +1 Damage now shows in the damage count. Weapon Variant: the Night’s Scar sword is now available. Night’s Scar was designed by Zeed, the winner of our first Facebook “Draw a new weapon” contest. Weapon: new pose of the adventurer when equipped with the arquebus. Character creation: locked backgrounds are now dimmer/more transparent when selected. Main menu: news carousel revamped with banner images, arrows and social icons. Main menu: snow effect removed from the overworld. Other fixes: fix to the title drawing system, minor fix to the tutorial system, armory (disable incompatible trinkets and potions when returning from a quest).